At the 2012 Violin Society of Americaâ€™s international competition held in Cleveland, Ohio, the violin entered by Feng Jiang won the rare â€œdoubleâ€� Gold medals. It was recommended for award by all six judges from both tonal and workmanship categories, this is a rare occurrence in the competition. The violin(highlight to the link) is made in 2011/12, in Strad model. There were 295 competitors entered 403 instruments and 109 bows. Feng Jiangâ€™s viola also received a Silver medal for workmanship. Musicians praise the quality of sound and playability of Feng Jiang's violins. Violinists who purchased his violins include Elmar Oliveira, Wei-Gang Li, Mark Fewer, Taras Gabora, Rodney Friend, Hahn-Bin, and Ning Feng to name a few. These players and many others have found in his instruments a versatile tool that allows them confidently express their musical ideas. Mr. Jiang’s instruments have been invited to exhibit at events such as the International Violin Competition in Indianapolis and "Klanggestalten" in Berlin, Singer-Polignac Foundation in Paris. He also shows instruments at AFVBM's "Players Meet Makers". A member of Violin Society of America (VSA), and the American Federation of Violin and Bow Makers (AFVBM). 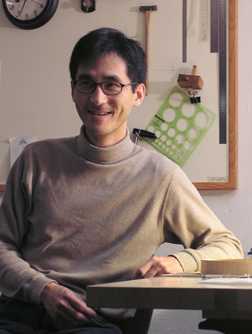 He has won some major awards in the field of violin making. â€¢	A Silver medal for violin in Violin Society of America's International Competition in Cincinnati, Ohio in 2000.
â€¢	"Highly recommended of craftsmanship" in the British Violin Maker's Association's International competition in London, in 2004. Born as a second generation violin maker in China. Feng Jiang now lives in Ann Arbor, Michigan.